First Nations leaders continue to speak out in support of Jody Wilson-Raybould. Wilson-Raybould abruptly resigned from the Liberal government cabinet on Tuesday. Speculation has been swirling around Parliament Hill that she may have been pressured by the Prime Minister’s office to influence a court case involving SNC Lavalin while serving as justice minister. 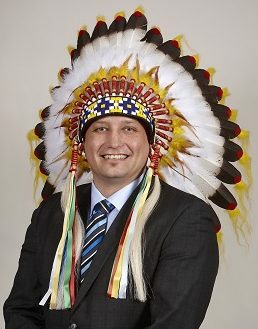 Saskatoon Tribal Council Chief Mark Arcand says there is no doubt Wilson-Raybould’s movement out of the justice portfolio and subsequent departure from cabinet hurts the Trudeau government on reconciliation matters. “Yes, I feel this sets back reconciliation a little bit because I don’t know if it’s inappropriate that she was let go, or whatever the case is, but again that is the government’s decision, we don’t have a say in that,” he says. Overall, Arcand says the government is sending the wrong message by the way it has treated Wilson-Raybould. B.C. First Nations leaders also issued a joint statement of support for Wilson-Raybould on Wednesday. She was serving as minister of veterans affairs when she left cabinet. Wilson-Raybould says she still plans to serve as a member of the Liberal caucus.